The calendar sharing feature introduced in Outlook Web App 2010 (OWA) allows a user to grant access to their calendar to another user. To access the option, click on the Share option when in the Calendar and then on Share This Calendar. You’ll then be able to select the user(s) that you want to share your calendar with and define the level of information you want the recipient to be able to see in your calendar. The recipients see a message as shown below. To access the calendar, they simply click on the Add This Calendar link. OWA will then add the calendar to the list of available calendars and the user can then access your calendar whenever they want by simply clicking on the calendar’s entry to instruct OWA to open it. So good so far. The user will be able to see your calendar but they won’t be able to add anything to it or make a change to an existing appointment. In short, they are restricted to “Reviewer” access. You can confirm this by clicking on the Change Sharing Permissions option in the Share menu, when you’ll see something like the screen shot shown below. In this case, just one other user has access to the calendar and all they have is Reviewer access, so it shouldn’t come as a surprise that they won’t be able to add or edit items in the calendar. To confirm that everything has gone to plan, we can use the Get-MailboxFolderPermission cmdlet to validate the permissions on the folder. Here you can see that one user has Editor permission and another has the default Reviewer permission. 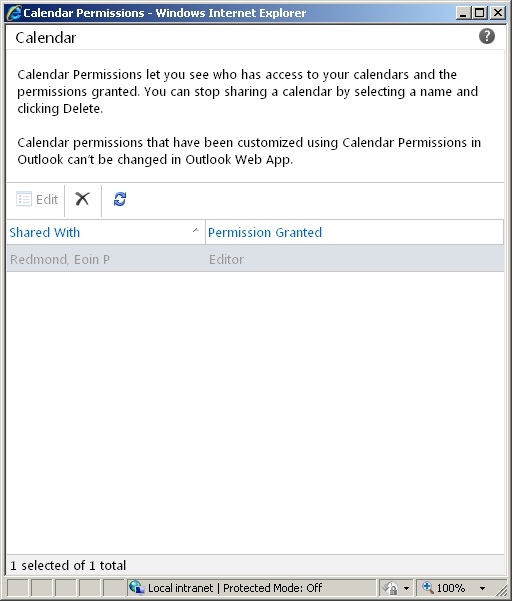 If we checked using OWA’s Change Sharing Permissions option, we’d see something like the screen shot below. Note that you can’t use OWA to edit the permission anymore as the code doesn’t cope with Editor permission. Once a user has been granted Editor permission, they can edit or add items to a calendar. Note the “Notify” checkbox. If set, the user who owns the calendar will receive an “Appointment Created Notification” as a new message in their inbox to provide them with details of the new event. 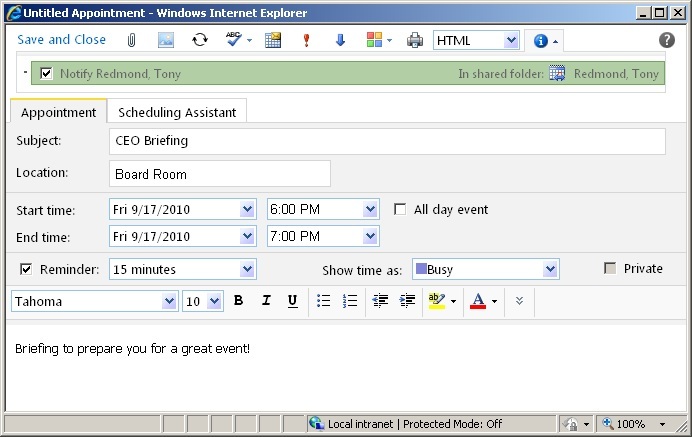 Calendaring sharing is a nice feature of OWA 2010. It’s just a pity that the developers left out the ability to grant editor access to a calendar – but now you know how to do it behind the scenes! Read more information about the new features in Exchange 2010 and Outlook Web App 2010 in my Microsoft Exchange Server 2010 Inside Out book, also available from Amazon.co.uk . This entry was posted in Exchange, Exchange 2010 and tagged Add-MailboxFolderPermission, Exchange 2010, Exchange 2010 SP1, Get-MailboxFolderPermission, Outlook Web App, OWA, Set-MailboxFolderPermission. Bookmark the permalink. Hey, nice…probably ExFolders is using those cmdlets also behind the scenes…? Does “Set-MailboxFolderPermission cmdlet” also work for mailboxes not just calendars? We are migrating from GroupWise to Outlook and would like everyone to use OWA 2010 instead of the client. We have a small group of people needing the delegation features of the client who manage others calendars & mailboxes. I’ve been able to set the delegation features in the client for a manager and then use the calendar permissions properly for the delagatee. For the mailbox though I’m only seeing the “Inbox”, is there a way to also include permissions to the “Sent”. This is great thank you! We just coverted several sites over to only OWA and was wondering how to do this. Great write up thank you!! Hi, this is a great article! I wonder if you have a comdle that will tell me what or how many other folders does a certain user have access to? Let’s say an assistant has access to BOSS1’s Calendar, and 5 months later, the assistant is promoted and now he/she is giving access to BOSS2’s Calendar. In a comdlet i would like to query this list against the assistant’s account. I hope the question makes sense. Where do I run the Set-MailboxFolderPermission cmdlet? You run Set-MailboxFolderPermission cmdlet from EMS. 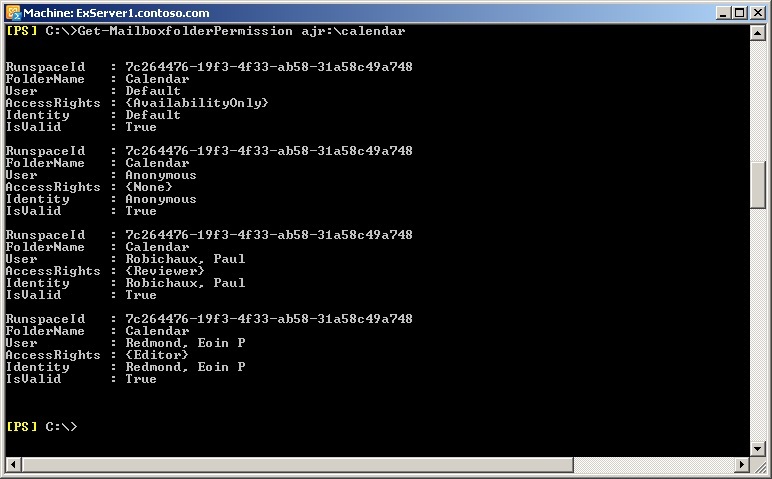 Your explanation helped me identify one of my two calendar sharing issues with Exchange 2010. 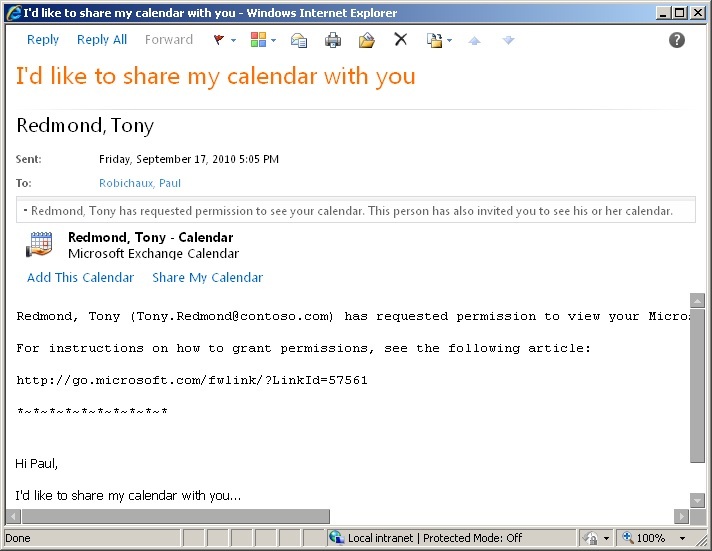 The other issue that I have is sharing calendars from the 2010 Outlook client; we can share from 2010 OWA and the Outlook 2007 client, but we can not share a calendar from the Outlook 2010 client. Do you have any experience with this? It doesn’t look like auto discovery or sharing policies are the issue. While reading this I can’t help but notice that there is nothing different in your command to set user rights as reviewer than there are for editor. I would assume that the only difference SHOULD be that you change editor our for reviewer. Thanks (BTW, Mr. Redmond is my father – I’m just plain Tony). It’s amazing that no one else ever mentioned this – I’ve fixed the problem and updated the text so that it has hyperlinks to the relevant commands in TechNet, so thanks again for enabling me to improve the content. Thank you very much for some excellent advice. I’m a budding SBS Admin and am always looking out for “straight to the point” advice. This article hit the mark!! Can I use this to share my owa with gmail? IF so are the command similar? Thanks for this helpful article. After I added Add-MailboxFolderPermission -Identity ‘User1:\Calendar’ -User ‘User2’ -AccessRights Reviewer , I can see User2 ‘s calendar. But In scheduling assistant I only see free/busy status as blue block. Is there a parameter we can add to this command so that we see details along. Great article about something we currently use in our organisation. However, we have migrated a number of users to our new Exchange 2013 server and the notify check box seems to be missing when users are creating\updating shared calendars in OWA 2013. 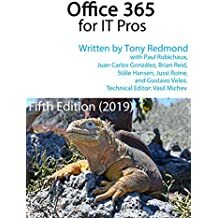 We have been searching the internet forums and Technet for a while now to try and find out if this functionality has been left out of OWA 2013 on purpose or if it is available but just hidden in some way. Unfortunately we have hit a dead end. Do you have any knowledge on this at all? We have had to migrate the users back to Exchange\OWA 2010 for the time being as they need this functionality. Obviously this is hindering us from moving entirely to Exchange 2013.
http://office.microsoft.com/en-us/office-online-help/sharing-your-calendar-in-outlook-web-app-HA103842904.aspx (for Office 365, but it’s the same functionality) is the best description that I can locate that might provide an authoritative statement on the point. Have pinged some folks in MSFT to see if this is an omission or just badly documented (or hidden). Did you ever get a response from MSFT? I can’t see anything in there the clarifies it 100%, hopefully your pals in MFST can do that. Pingback: How To: Grant Permissions Beyond Reviewer in OWA on Exchange 2010 | The Only IT Guy. Reblogged this on The Only IT Guy..